Catherine has been teaching for over 30 years, and believes that is is imperative to share her skills and pass on her experiences to others. As a self employed teacher, she has taught in numerous institutions in London in addition to workshops and community events. Alongside this, Catherine has continued to maintain a successful private teaching practise. 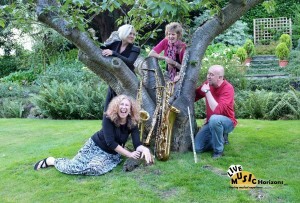 Catherine offers saxophone and clarinet private tuition, consultations & ensemble coaching from premises in Essex and London. Catherine can also be booked for educational sessions across the country. "Catherine's bubbly personality enables a relaxed and easy learning atmosphere. 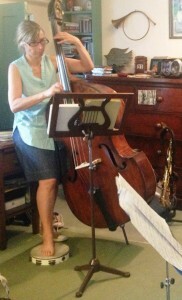 She has an excellent technical approach to teaching and playing. Classes are fun and interesting and never allowed to get boring while staying focused on the task at hand. As a parent it is uplifting to see my daughter elated at the end of each class. 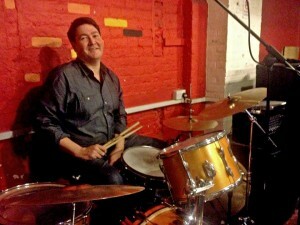 "The extented group sessions are great. They develop listening and performance skills and teaches them to play with others. The presentations at the end of these sessions are amazing!" 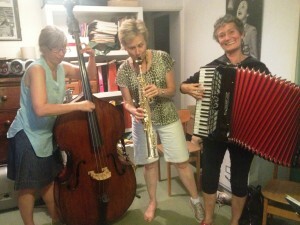 Here we see an Adult Jazz Trio having a productive improvisation session with Catherine, improving their ensemble technique and communication skills... and having lots of fun! 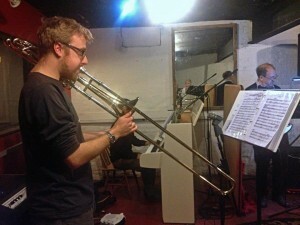 Another adult jazz band 'Junction Jazz', recording tracks and working on material with Catherine's support. 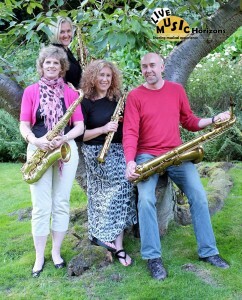 "Catherine helped us to improve our sound in specific ways and generally to play well together. She was enthusiastic and fun to work with too and came up with good ideas during the recording.Junction Jazz worked with Catherine leading up to and during their first studio recording session.We hope to work with her again." - Regular Open Access Holiday Courses for London’s “Centre for Young Musicians (CYM)” and the London Schools Symphonic Wind Band. 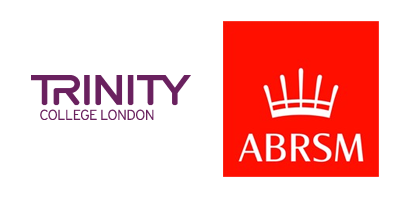 - Outreach workshops for organisations including Glyndebourne Opera and The Academy of St Martin in the Fields. 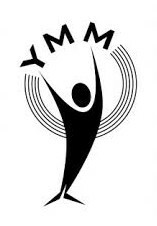 Young Music Makers (2014 - 2015) - a thriving Saturday Music School based in North London. In this role, Catherine was responsible for developing and maintaining a general overview of teaching; monitoring individual teaching standards and practices, supporting and motivating groups, creating performance opportunities within YMM and externally and advising on policy. 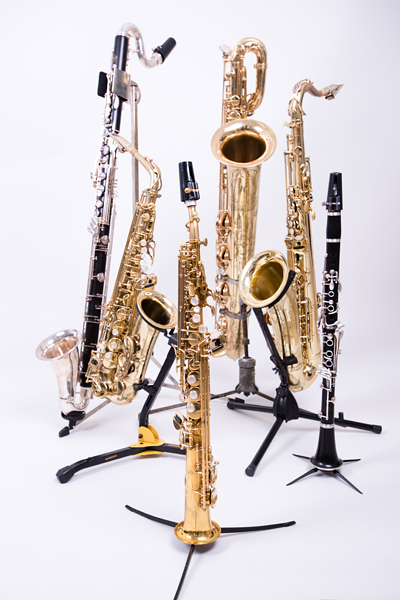 "When I started playing saxophone aged 10, I had no idea that music would play such a fundamental role in my life. Catherine took me from not being able to play a note to a grade 8 distinction during my time at school. 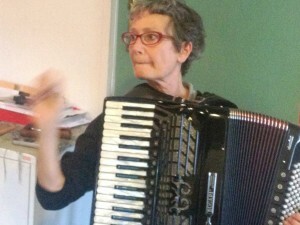 Through weekly lessons, Catherine shared her love of jazz, funk and soul amongst a wide array of other genres and styles. Further, through ensembles held at Centre for Young Musicians, Catherine encouraged me and my fellow students to be confident and creative in a improvised ‘jam’ context. It is thanks to Catherine that I now play with a professional standard big band at University and continue to nurture the passion for music that she has instilled in me. 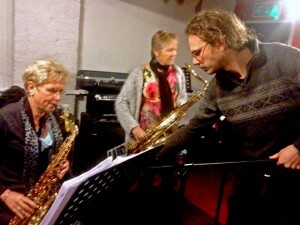 Not only is she a brilliant saxophonist and inspiring teacher, but a great friend. I am infinitely grateful for the time I have spent with Catherine and would fully recommend her tutelage to anyone with a desire to improve and have a great time in the process." 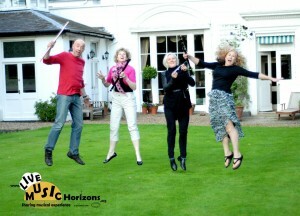 Concert Party - four professional freelance musicians who bring live music to Primary Schools. Concert Party educate and entertain students in a lively, accessible atmosphere which can interest and enthral an age range from 5 to 11 years old. Concerts introduce a wide variety of acoustic instruments and musical styles.